The NBA All-Star Game is just over a month away. The ensemble of the league’s elite players is the traditional halfway marker for the season. The Association has seen a shake-up, for the most part, with the top teams over the last few seasons struggling to replicate past performances. New faces have emerged and new NBA title contenders are putting their best foot forward. With the season’s halfway mark around the corner, here is a look at the latest NBA futures. 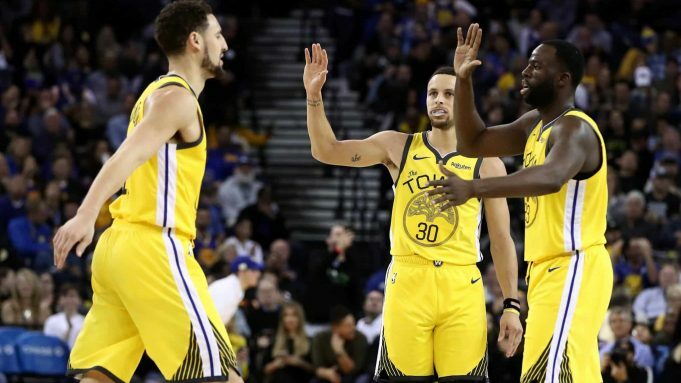 The Golden State Warriors may be in second place in the Western Conference at the time of writing, but Stephen Curry’s team is still the odds-on favorite to win the NBA Finals. Leading sportsbooks have the Warriors at -163. Curry and teammate Kevin Durant both average over 28 points per game. The duo has been killing opponents all season and the Warriors as a whole average the second most points per game in the West with 116.7. The Toronto Raptors, the NBA’s team with the most wins, are second in odds to win the Finals. The Raptors are +700. 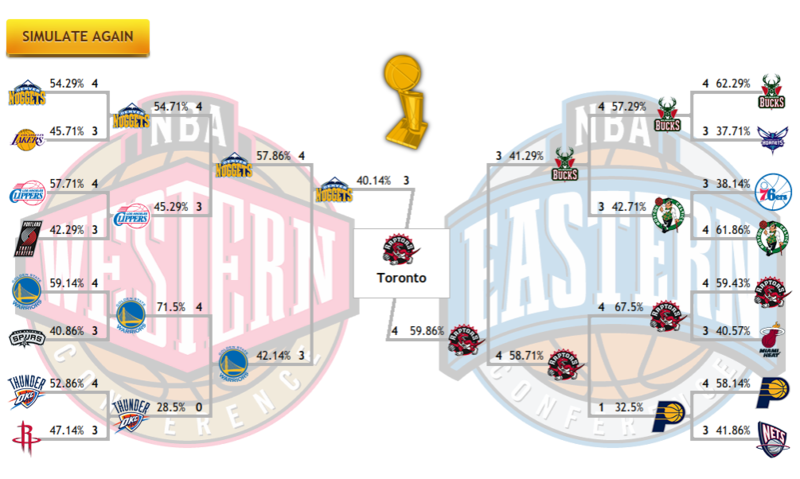 At the very least, the Raptors have the best shot to represent the topsy-turvy Eastern Conference in the Finals series. The Cleveland Cavaliers are the East’s worst team and without LeBron James, they have reverted to days of old. The Boston Celtics have underperformed and Kyrie Irving and Gordan Hayward are not leading the team forward like expected. Could the Celtics end the Irving-Hayward experiment in the offseason? They are fifth in the Eastern Conference right now. The Eastern Conference is made up of exciting young teams. The Raptors are the best right now, but no NBA team is more exciting than the Milwaukee Bucks. Yes, that is right, the Bucks. Giannis Antetokounmpo is one of the brightest stars in the NBA. He may not be in Milwaukee for long and an emphasis has been placed on winning right now. The Greek Freak averages over 26 ppg and has led the Bucks to a 29-11 record. The Bucks are +1800 to win the NBA Finals. Over in the Western Conference, the Denver Nuggets have surprised everyone. Denver tops the conference with a 27-12 record. The Nuggets aren’t getting much love from sportsbooks as they are +3300 to win the NBA Championship. Last season’s best team in the regular season, the Houston Rockets, have struggled. James Harden continues to go off every night averaging a league-leading 33.9 ppg. Yet, the Rockets are just sixth in the Western Conference. They have struggled against Western Conference teams and are currently just three games above .500 against the conference. The NBA season isn’t to the All-Star Game, but it is never too early to run a ZCode System Playoff Simulator. Using the Eastern Conference’s and Western Conference’s top eight teams as of the writing of this blog, we can see just how the playoffs would go if the season ended today. According to the simulation, the Warriors dynasty would come to an end in the semifinals against Denver in the West. Over in the East, the Raptors would reach the NBA Finals and win it behind Kawhi Leonard’s play. Do you agree with the latest ZCode System’s Playoff Simulator for the NBA Finals? Thanks Stephen Curry! I'm looking forward to watching each game! That's an awesome team love the ! Golden State is a team that is going to be good this year. Nice to see Stephen Curry! Time to throw some money on the Golden State.